Prague, the capital of the Czech Republic, is a hugely popular tourist destination with millions of visitors choosing to explore this historic city every year. This comes as no surprise, as the panorama of this city showcases stunning bridges, majestic buildings and even a towering ancient castle. Whether you are keen to explore the historic sights of Prague or enjoy the city's nightlife on a raucous weekend away, take a few simple steps to ensure you stay safe and make the most of your stay. It's sensible advice wherever you go in the world, but when taking taxis, book these through your hotel. It's in their interest to use a reputable service and they can also advise you of the expected price before you commit to the journey. 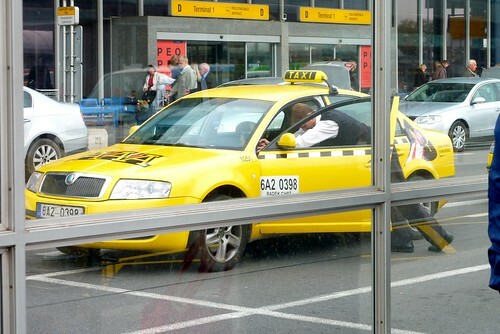 This way you'll avoid any taxi drivers trying their luck and charging you an outrageous fee. Book your return journey at the same time to be sure that you don't find yourself stranded in an unfamiliar place. The underground system can play host to a scam in Prague. It has been known for teams of con artists to pose as Metro inspectors and request to see your ticket. They state that your ticket is invalid and you must pay a hefty fine to them. If you find yourself in these circumstances, request to be taken to the main ticket office at the entrance or that you will call the police for verification. Ticket inspectors on Prague's underground will always have an ID badge to confirm their identity. 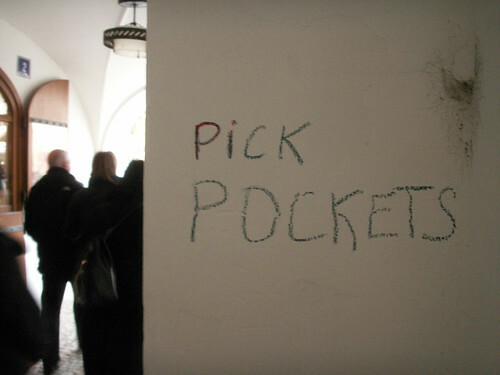 Pickpocketing is almost certainly the most common tourist targeted crime in Prague, as in many cities, but there are easy ways to avoid being the victim of this. Never carry your gadgets such as cameras on view and always seal them into your bag or an inner pocket of your coat. The same applies to your purse or wallet. Always carry this out of sight and in a well-zipped inner pocket. If you are carrying a bag, wear it to the front of you where you can see it. This also applies to a backpack, as these are particularly enticing for thieves. Be wary in crowded places such as the Metro, Wenceslas Square or Charles Bridge where gangs of pickpockets may operate and try to distract you whilst others pinch your belongings. Similarly, if travelling on public transport, don't fall asleep. On sleeper trains, which are popular in the Czech Republic, keep any valuables on your person in a zipped pocket out of sight and lock your luggage in the luggage racks. Be careful when choosing where to exchange your cash. Always check the small print before committing to the transaction, as some less reputable offices have been known to add ridiculous surcharges for lower transactions, which is only mentioned in tiny print. One of the best ways to avoid this is to use your card for payments or withdraw currency from ATMs instead. Prague is one of the popular destinations in Europe for stag parties, so drunkenness can be an issue. Avoid excessive alcohol consumption and if you do plan to drink at all, ensure that you have planned a route home and with other members of your party. Never approach anyone who is drunk, to avoid becoming embroiled in any alcohol fuelled problems. If you do find yourself in any trouble at all during your stay in Prague, these numbers may be useful. For Police, dial 158, for ambulance, 155 or general emergencies, dial 112. Image Credits: Julie Buchner and Daquella manera. Submitted by travelfreak on Fri, 2013-02-15 05:02. Pickpockets and thieves are abundant in some part of the world, so first thing what we do is to secure our passport.